Netflix and DreamWorks are planning on rebooting the classic series Voltron. Originally titled Beast King GoLion in Japan the series had to undergo a name change for US audiences and be paired with Armored Fleet Dairugger XV . The original GoLion featured five lion themed vehicles, which combined to create the Lion Voltron. The Dairugger XV featured five Vehicles that when combined formed Vehicle Voltron. Despite the name change, Voltron followed a similar approach and clearly enchanted a generation of children that are now grown adults. It’s these former kids that have now become adults that both Netflix and DreamWorks are now targeting. In Japan, GoLion was a somewhat niche series and wasn’t as popular as the other super robot anime shows of the period. This is mainly because the combination, or “gattai”, gimmick used in super robot anime had been done before and to a more competent degree. 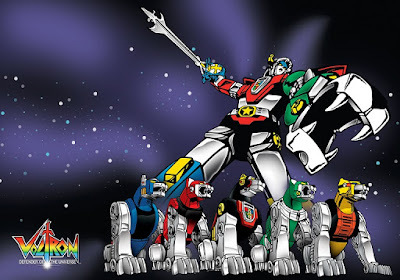 However, in the case of Voltron this setup was all-new to Western audiences and as such garnered the same following as earlier shows of its type had in Japan.